Tibet Birds Watching is a winter tour activity. Winter is the best season for Tibet bird watching. The birds are flying in the clear blue sky with the background of snow-covered mountain. Thus, it forms a fabulous views in Tibet plateau. There are two kinds of people who love watching the stunning view. One is birds researcher, the other one is just for appreciate the magnificent birds flying view. In addition, black-necked cranes are the national first-class protected birds in this region. 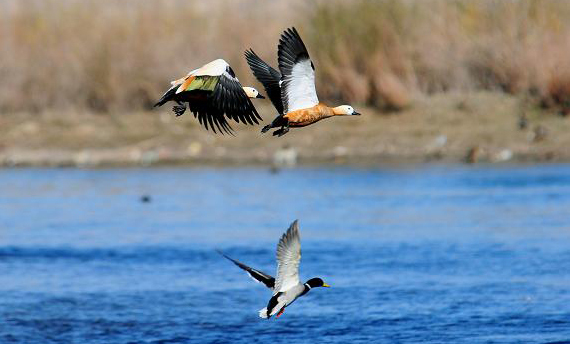 Meanwhile, if you are fond of Tibet birds, you may consider to visit Tibet in winter.